This is a crucial step for all your business in Yiwu. A good agent will support you all the way through and help you gain the most out of your invest; A bad will lead you to the other direction, you may end up losing all your investment as well as your confidence of doing business with China. Congratulations! Now you should already have your most favorite agent, and a few back up ones line up. Let’s move to step 2. A good agent should already have a visiting plan tailored to your needs. Having an agent follow up you all the time may not be a good option. You need some free space for fresh air. Step 3: Collect products info. or place orders on spot. Generally, a good agent should already have the best supplier sources line up for you to confirm orders right on spot. 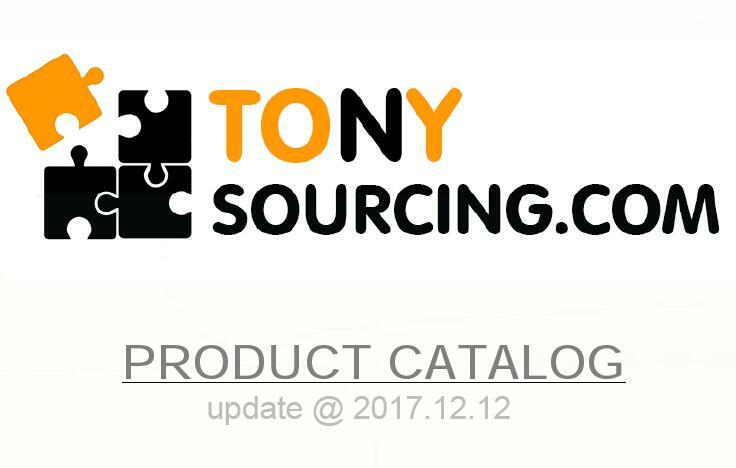 Meanwhile, leave some space for you to discover new products by yourself. At least, they know where to lead you to get right information. Of course, you need to make sure all your requirements are successfully crossed, well understood, and correctly implemented. 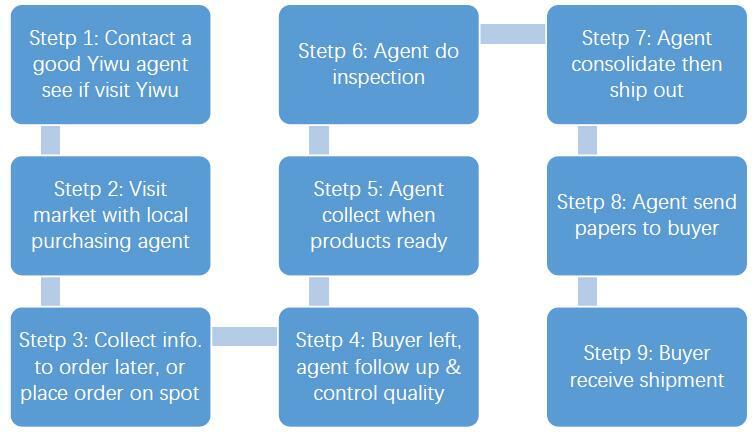 This is also a good process to choose a good agent. After your visit, you should already have all your orders placed, or have all the information you need in hand. If you have customized products, samples should already being made. Well done! A successful visit should end up with all goals accomplished. You leave Yiwu with a happy mood of fulfillment, and probably, tiring feet and sore body. But get everything done. That’s the most important. Now you should have good confidence that your agent will do a good job for you. They understand you and they will look after your supply end like a hawk looks after her egg. You can try all your means to push your selling end without concerning too much about supply. Your agent will make sure everything will be delivered right quality, right quantity, at right time. This part should all be your agent’s job. You may only need to be online to make some major decisions when your agent comes across major problems during collection. You need to give a final YES or NO. But most of time, your agent should be able to fix these problems on spot / avoid them well in advance. After everything collected, inspected, your agent will consolidate everything then ship out. 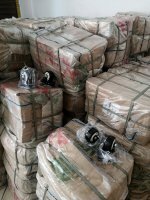 You may need to air ship some urgent items / samples first, then sea ship the rest in bulk containers. A good agent should able to handle all problems; however, plan in advance will save everyone’s time and efforts. Degrouping or repacking at last minute may not be a good option always. Shortly after shipping out, your agent will send you necessary papers (if any), for you to receive shipments once they arrive. If any certificates for certain products are required, this HAS TO BE DONE before placing orders. Asking for special papers at this time is usually too late. If all is done correctly, there should be no nasty surprise. You get what you ordered. They sell as good as you expected. You order more through your agent without frequent visits. 100% perfect is hardly a case, but 95% perfect should be the bottom line when you work with a good agent.